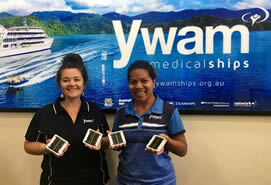 Rotary Solar Lights is supporting this YWAM Medical Ship. Funds raised are by our program are used to purchase additional Solar Lights to Donate to the YWAM Ship for PNG. YWAM has operated ships in the Pacific since 1991. These ships have called on 160 ports in 16 nations including hundreds of island visits. YWAM Medical Ships – Australia has been operating in PNG since 2010 – delivering healthcare and training to over 100,000 patients. Thanks to a donation from the Rotary Club of Bondi Junction, together with the Rotary Solar Team we were able to supply 120 solar lights to the YWAM ship in October, before they departed for PNG. To contact us for more information about Project Sponsorship.